FLIR has been tasked with providing the military with Black Hornet Personal Reconnaissance Systems (PRS), which are drones small enough to sit in the palm of your hand. The drones, described as "highly capable nano-unmanned aerial vehicle (UAV) systems," measure only 6.6-inches across and weigh less than 33 grams. The drones have a range of 1.24 miles at speeds of up to 13.35 mph and are able to fly for up to 25 minutes on a single charge. An official illustration of unmanned Black Hornet 3, a surveillance drone used by the military. According to FLIR, each Black Hornet can operate in temperatures ranging from -10c to 43c and can withstand wind gusts of up to 20 knots. The Black Hornets will be given to US platoons and small units which require surveillance capabilities while on the ground. FLIR says the first batch of drones, en route to forces now, is part of the Soldier Borne Sensor (SBS) Program which involves investment in both UAVs and ground control systems. "With a camera in the air vehicle, soldiers will be able to see further and around obstacles that they previously wouldn't be able to see in near real time," the US Army says. In the video below, you can see the Black Hornet take flight during SBS testing. While the full details or order numbers of the contract are unknown, an order for 60 of the Black Hornets awarded in May 2018 was worth $2.6 million. The ultimate goal is to field at least one UAV and ground system for almost all of the 7,000 squads in the US Army. "This contract represents a significant milestone with the operational large-scale deployment of nano-UAVs into the world's most powerful Army," said Jim Cannon, CEO of FLIR Systems. 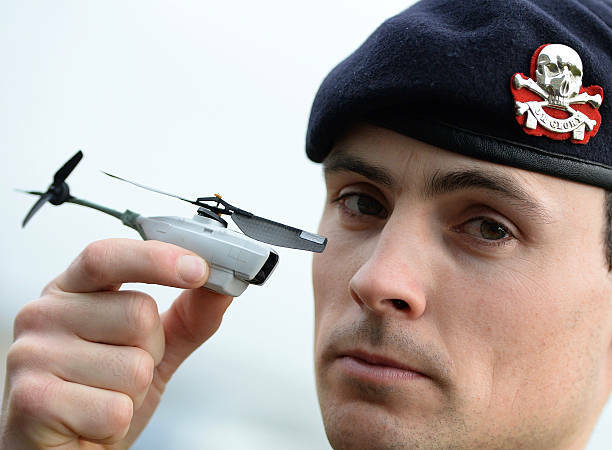 "This contract [...] demonstrates the strong and urgent demand for nano-UAV technology offered by FLIR. Protecting US warfighters with our unmanned solutions is a key objective for FLIR."